BRUSSELS (Reuters) - British Prime Minister Theresa May said on Saturday the United Kingdom would "always stand by Gibraltar" after Spain got enough assurances over the peninsula to unblock the European Union's Brexit deal with London. 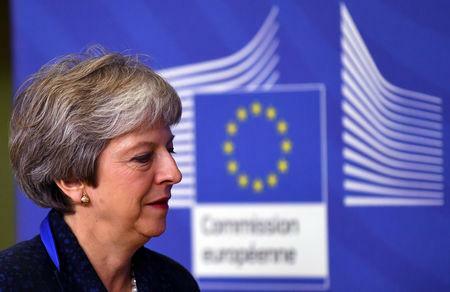 "We will always negotiate on behalf of the whole UK family, including Gibraltar," May said on arriving for talks in Brussels with Donald Tusk, the chairman of EU leaders' summit that is due to approve the Brexit deal on Sunday. "We have worked through the withdrawal issues for Gibraltar in a constructive and sensible way," she said. "We have ensured that Gibraltar is covered by the whole agreement and by the implementation period."